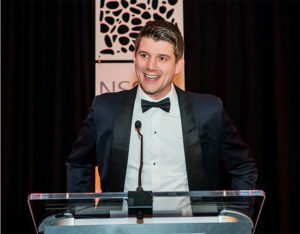 Niklas Haver, chairman of Major, a Haver & Boecker company, delivered a tribute to Washington Samuel Tyler at this year’s Pit & Quarry Hall of Fame induction ceremony. Photo by PamElla Lee Photography. Pit & Quarry Hall of Fame honor on behalf of Washington Samuel Tyler. Haver & Boecker purchased Tyler’s celebrated company, W.S. Tyler, back in 1998. 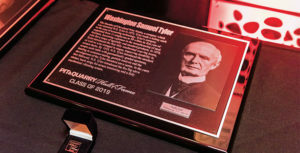 During the induction ceremony in Indianapolis, Haver provided several insights on the 147-year-old company Tyler founded and how Haver & Boecker employees continue to live Tyler’s legacy today. 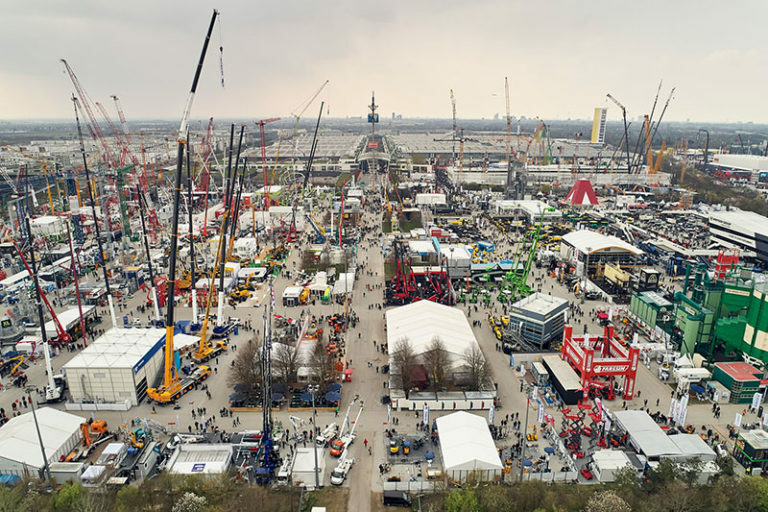 On the Haver family business’ connection to Tyler’s legacy company: I’m one of the owners of our family business, Haver & Boecker, back in Germany. The connection of our company with W.S. Tyler goes back over 100 years ago – back to 1910. At that time, we had the first loose contacts to exchange our experience in wire weaving on both sides of the Atlantic. In 1958, we started our joint venture between Haver & Boecker and W.S. Tyler called Tylinter, which even exists today. On what ultimately brought Haver & Boecker and W.S. Tyler together transactionally: We eventually tied the knot when Haver & Boecker acquired the W.S. Tyler company with its two locations in Mentor, Ohio, and in St. Catharines, Ontario, [Canada]. It had always been my grandfather’s big dream to one day acquire the W.S. Tyler company. Washington Samuel Tyler set wire product standards and developed equipment that changed the nature of screening. Photo by PamElla Lee Photography. On Washington Samuel Tyler’s approach to customers: It is hard to not be impressed with all of the innovations of W.S. Tyler and his company in the years after his passing. But what impresses me even more is Tyler’s customer-first approach. He was known as an upstanding and determined man with high business and moral standards. He always wanted to offer a product worth [customers’] money. On Tyler’s approach to employees: Equally important as the customers were his employees. It is reported that Tyler developed strong relationships with them to build loyalty and, thus, ensuring the company’s success. Both Tyler’s drive for innovation, as well as seeing the employees as the company’s strongest asset, are values which we live today. On a unique family find that describes the value of Tyler’s original equipment: I found a note from my great-grandfather, Fritz [Haver]. In 1928, he traveled from Germany to the United States and met representatives from [W.S.] Tyler. They explained that customers who had spent $40,000 U.S. dollars – huge money at that time – on new Tyler equipment would save $1,000 compared to old equipment. [That’s] return on investment in just 40 days.